One of the items from the new 2013-2014 Annual Catalog that I was so excited to order was the Six-Sided Sampler Bundle and this baby does *NOT* disappoint! 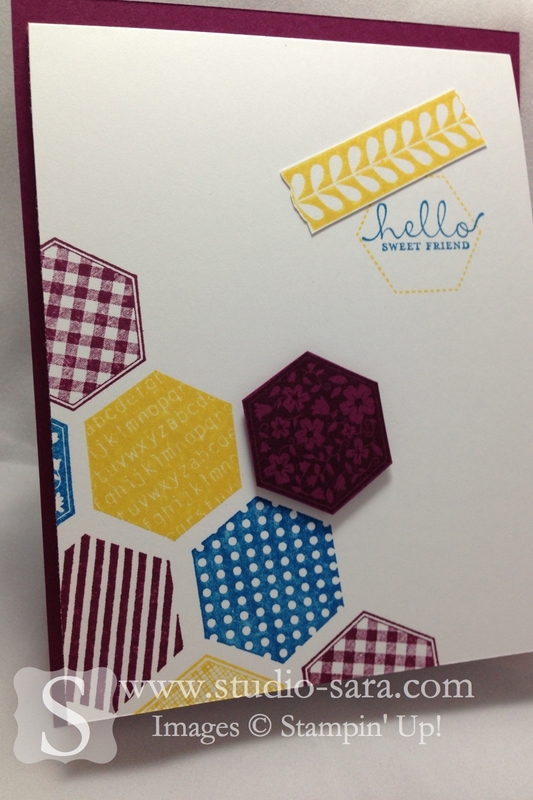 There are eight great patterns/designs in hexagons plus three super-versatile sentiments in this set. Also included in the bundle (for a 15% discount if purchased as the bundle) is the Hexagon Punch. 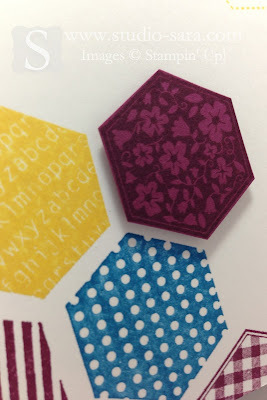 Here you can see where I stamped the hexagons on the Whisper White in Daffodil Delight, Pacific Point and Rich Razzleberry. 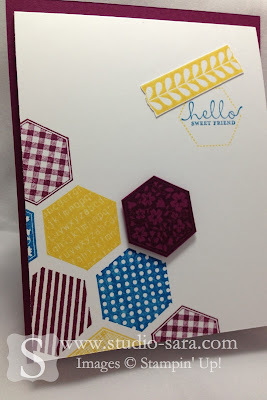 I also inked my hexagon in Rich Razzleberry before I stamped it on Rich Razzleberry card stock (then punched it lickety-split with my Hexagon Punch). 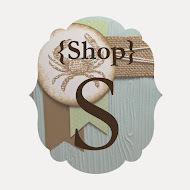 The shadow is created because I've bumped it up on a Stampin' Dimensional. Another hot trend is washi tape, and this is a stamp from the fun set, Tape It. It's inked in Daffodil Delight and Fussy Cut to lay over the sentiment. This project was created for 365 Cards (you might remember the week I sponsored back in February). 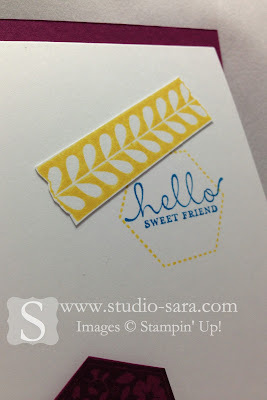 The challenge for Day 187 was to Stamp It All (no other embellishing) and it's also an entry to be a guest designer!